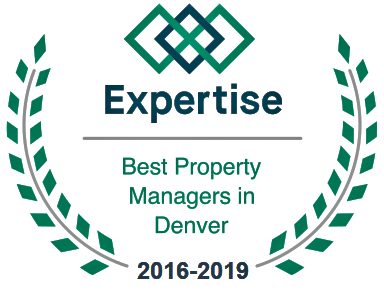 Rental Marketing Services in Denver Colorado. With over 10 years experience marketing rentals, Pioneer PM is adept at finding the best aspects of a property, and knowing what to improve to get the most interest. There are many resources available to market both a property ‘For Sale’ and a property ‘For Lease’. A lot of it is the same but there are distinct differences. For example, someone purchasing a home may not mind a few fix-ups if it means they can get it at a bargain price. To attract a quality tenant however it’s very important for the property to be in good repair and understand that’s part of what they are paying rent for. At Pioneer PM we understand that the location of your property is not something you can change so we focus on what is within our control. This starts with a knowledgeable property evaluation to determine if there are any small improvements that will help make your rental property appeal to a wide range of great tenants. After we’ve identified where we can get the most ‘bang for your buck’ with property improvements we make it look great! This includes professional cleaning, photos and/or video tours that we schedule for the best time of year. Timing of the listing is very important as well and we advise all owners to allow us to structure leases turning over between April and August to allow us to capitalize on the largest pool of applicants and lease at the best market rent. Knowing our customer (tenants) is a very important piece of the equation. Our Marketing Services utilize the feedback received from thousands of applicants throughout the Leasing process each year. Our showing agents are responsive and courteous as they provide the first interaction which paves the way for a smooth transaction through the leasing process and a complimentary relationship going forward. Our reputation precedes us and allows applicants who are vetting our company to know that they are dealing with an established and reputable organization. After all they will be providing confidential information, a steady portion of their income and entrusting us during the course of our stewardship of their new home.